In 2017, the Uffizi Galleries have begun a long-term path for promoting female artists. One of the first initiatives is the Uffizi exhibition devoted to Sister Plautilla Nelli (1524 - 1588), considered the first female Florentine painter. 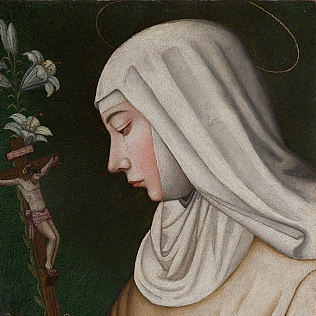 The exhibition, entitled Plautilla Nelli: Convent Art and Devotion in the Footsteps of Savonarola, is curated by Fausta Navarro and will open on March 8, 2017. It will be open until June 4th. Polissena de\' Nelli entered the convent of Santa Caterina at fourteen. Here, she learnt by herself the art of painting by copying works and drawings and by using other nuns as models. Plautilla produced works of high quality and led a true art workshop, with many students. Plautilla painted above all religious-themed works: people who owned a painting by a nun, assigned to the object an almost magical power. Plautilla\'s works were thus not only very popular, but also considered very precious. The Uffizi exhibition presents not only Plautilla\'s paintings, but also some codes illuminated by her, testimony of the great artistic vitality of her monastery. The rediscovery of Plautilla and the first restoration of her works are due to AWA (Advancing Women Artists Foundation), a US organization and in particular to its founder, Jane Fortune.